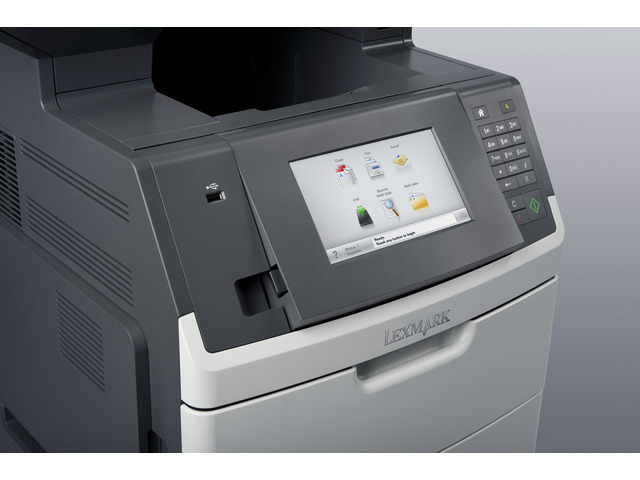 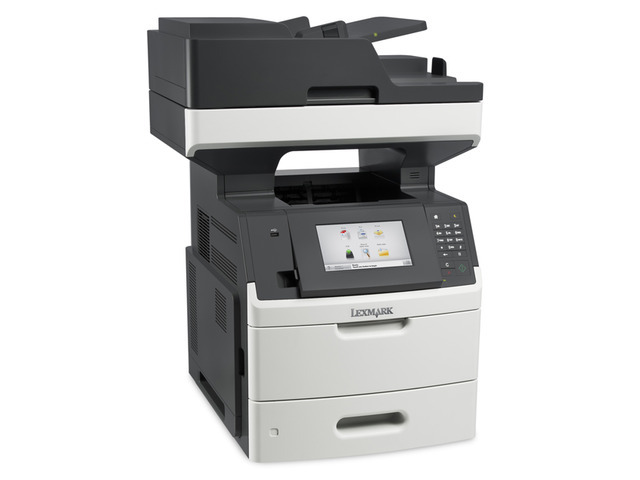 The Lexmark MX710dhe MFP with a customisable e-Task touch screen provides print, copy, fax, email and scan functions. 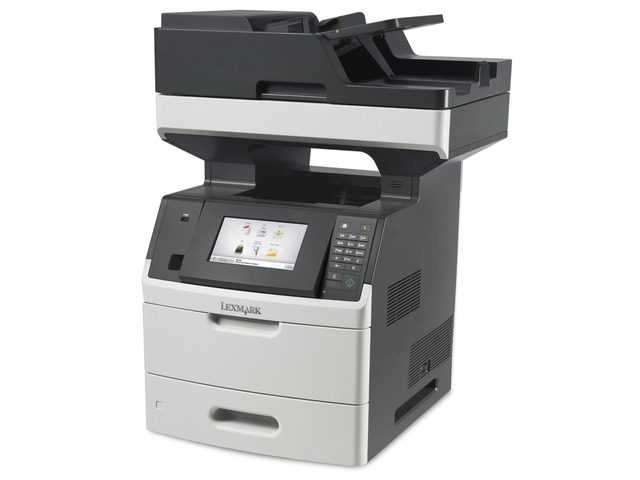 Included are 650-sheet standard input, 512MB of standard memory and a 320+GB hard disk. 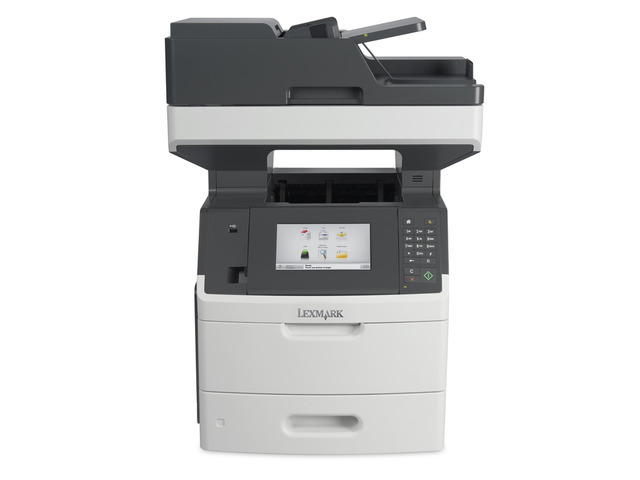 Enjoy print speeds up to 60 pages per minute, plus produce your first page in as little as 4.4 seconds and rapidly scan a two-sided document in a single pass.